Great Location for This 3 Bedroom-2 Bath Brick Ranch With Immediate Possession! Large Formal Living Room w/original Hardwood Floors thru-out the Main Floor; Appl (4 years old) Eat-in-Kitchen + newer Vinyl Flooring; All Appliances Sold As Is; Roof- 3 yrs. 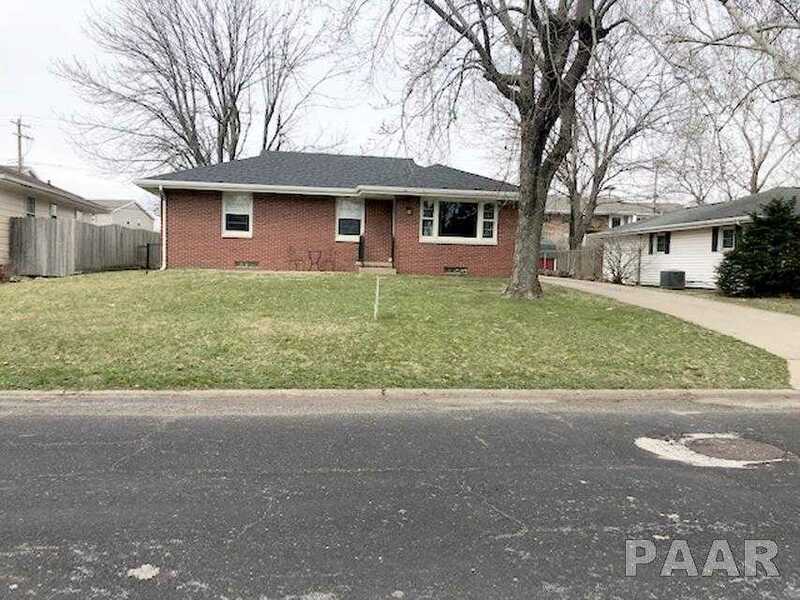 old; Family Room in Basement-Perfect for that Rec Room or Man Cave; Newer motors in AC + Heater; 2 Car Detached Garage w/Work Bench; Large Level, Fenced Back Yard + Built-in Natural Gas Grill; Close to Shopping, Eateries, Golf Course & Entertainment + Only 1 Block South West off Interstate 74! Please, send me more information on this property: MLS# PA1202989 – $99,900 – 2713 W Westport Road, Peoria, IL 61615. I would like to schedule a private showing for this property: MLS# PA1202989 – $99,900 – 2713 W Westport Road, Peoria, IL 61615.